It was with great joy that we were asked by Mrs Phillips to Grange Primary School to give the Year 4 children a little sample of the different teas that we have at The Hazelmere. After the much snowy and bitterly cold weather recently it was a relief to escape the wind and enjoy an hour in the lovely warm classroom along with the Year 4 children. We were greeted by lots of smiling faces and children who where very eager to try the teas and to hear stories about how tea is made. The children really enjoyed talking about the different flavours and colours of the teas and we discussed the book that the children where reading called Cloud Tea Monkeys by Mal Peet and Elspeth Graham. After much fun had been had Dorothy, (the owner of The Hazelmere and a tea sommelier), presented the class with their very own bag of Margaret’s Hope tea to take home and sample with their families. 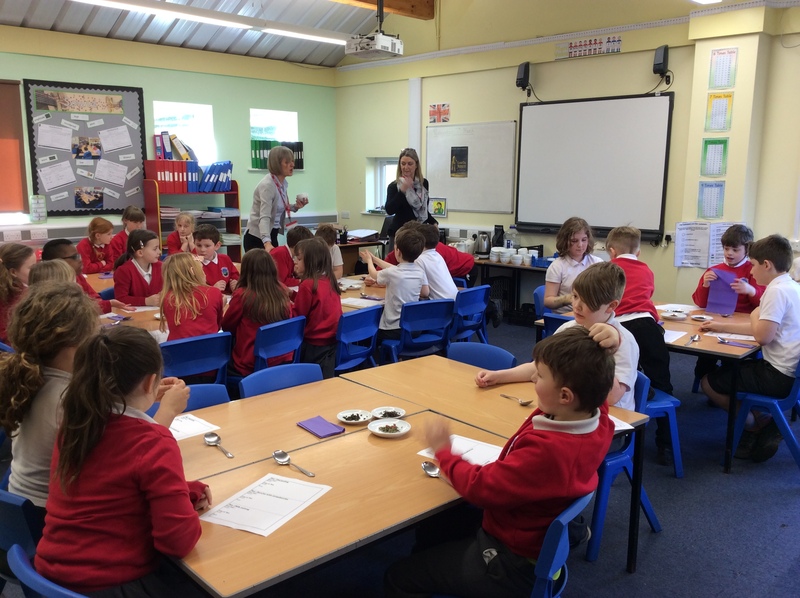 THANK YOU to all the children in Year 4 – you where brilliant and lets hope we have started you all on a lovely little tea journey of your own !